A GERMAN geographer, Walter Christaller helped bring quantitative and statistical disciplines to the study of geography. Christaller was born in Berneck, GERMANY; his father was a clergyman and his mother an author. Before 1914, he attended university in Heidelberg and in Munich. He enlisted during World War I, and became an officer. Returning after the war to study, he went to the University of Erlangen, where he obtained his master’s degree in 1930. His doctoral thesis was presented at the University of Erlangen in 1932 under the supervision of Professor Robert Gradmann, a specialist in settlement geography. Christaller influenced the discipline of geography with the publication in 1933 of his book Central Places in Southern Germany, in which he introduced quantitative and statistical techniques for the first time in geography. Between obtaining his master’s degree in political economy and conducting doctoral research, Christaller worked in jobs as a journalist and also as a miner. Christaller’s work followed several theoretical works that started in the 19th century and aimed to determine the optimal location of an economic or a geographic entity in a given environment. This followed from works by economists (Johann Heinrich Von Thünen, Andreas Predöhl, William J. Reilly, August Lösch), sociologists (Alfred Weber, René Maunier), engineers (Leon Lalanne, Jean Reynaud), and a geographer (Johann Georg Kohl). Jean Reynaud had already initiated his stream of research in an article entitled “Cities” in l’Encylopédie nouvelle (1841) and proposed an elaborated version of the theory of central place. The double formation of Christaller as a geographer and an economist could explain the elaborated graphics and cartographic expression in his research. His field survey in southern Germany, which at that time stretched from the Alsace region to AUSTRIA, permitted him to develop his theory. In the 1930s, this region was little affected by the INDUSTRIAL REVOLUTION. As a result, the model postulated that the organization observed was the product of market and rural logics. 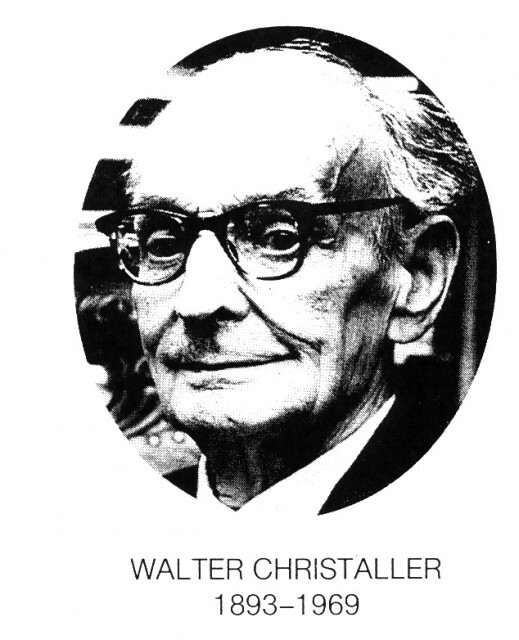 Christaller developed the idea of a space that is supposed to be isotropic, homogenous, and functioning in self-sufficiency in perfect conditions of competition from economic agents, producers, and consumers. Christaller graphically showed interests convergent with the general interest in a regulated society, representing hexagonal market areas that are fitted in each other to cover all the territory. Central places emerge at the center of each hexagon, which contained six lowerorder places to ensure that goods and services are available. His model, based on a hierarchical central place system, suggests four basic premises. First, the higher-order central places will provide all goods and services that are found at the lower-order centers. Second, larger central places will provide a variety of functions and specialized functions. Third, within a place, the number of lower-order centers will be proportional to the number of higher-order places; and fourth, the higher-order central places have greater distances between similar places compared to lowerorder places, because of the exclusivity of market boundaries. The Christaller Model inspired leaders of planning in the national-socialist state and the practices of town and country planning in several countries. Christaller could use his theory in practice with the rise of Adolf Hitler’s Third Reich in Germany and its conquered territories, including a reconfiguration of the geography of Germany’s eastern conquests such as Czechoslovakia and POLAND. Particularly in the priority plan Deutscher Osten, Christaller was in charge of planning for occupied Poland by using his central place theory. The model of central place was improved in 1940 by the economist August Lösch, who was far less inclined to the ideas of the Reich at that time, with the introduction of theorist postulates influenced by the classic economic approach. The honors to Christaller’s achievements came at the end of his life and include the Outstanding Achievement Award from the Association of American Geographers in 1964. In 1996, the Geography Award of Walter Christaller was created in Germany. This award, a reference to the international prestige of the geographer, but not as his past experience as a planner of the Reich, has fueled debates in the German geography community.